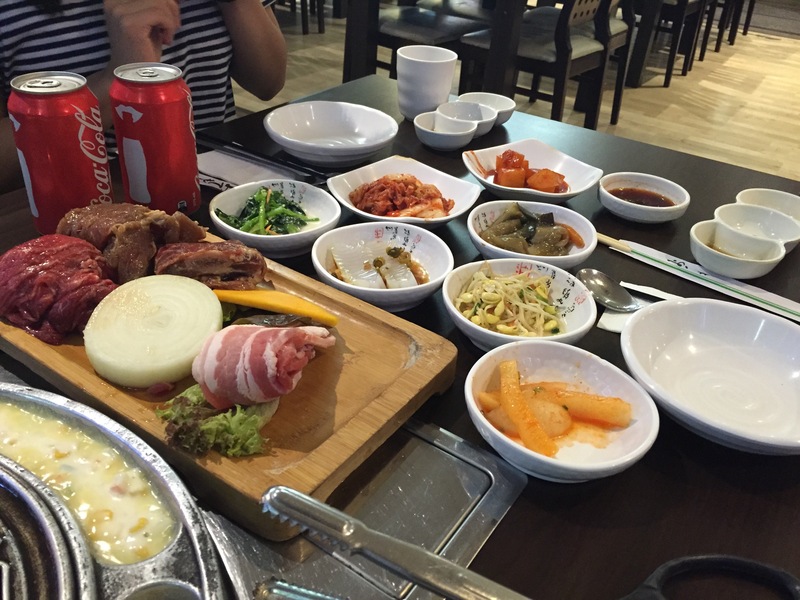 Seoulria @ George St, Sydney – PINKKLOVER. I have been told this place was great and serves amazing food by many people throughout these years and I have been looking forward to it. This place is pretty easy to find as they have a sign and it’s just located close to World Square. Their entrance was a bit iffy as you need to enter a tiny elevator to get to the top where the restaurant awaits. We decided on Korean BBQ especially since I had korean hot pot a few days ago XD The smell was definitely lingering in the air as other customers also had BBQ~ it was so mouthwatering! 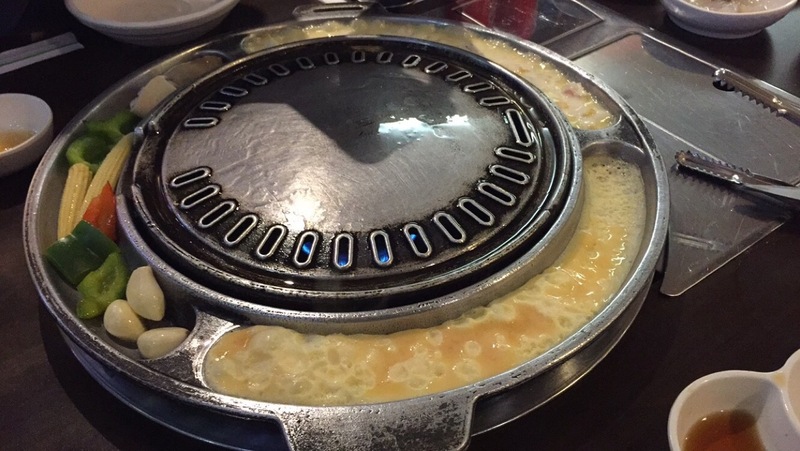 This was the first time I had eggs and other dishes on the side of the grill~ pretty cool! We also ordered their seafood pancake. A bit disappointing as it was a bit too floury and the calamari was a bit tough. Their service was pretty quick especially when we need to change the grill. I think I will come back again as the experience was pleasant and I’m eager to try out their other dishes (probs not their pancake again hahas). However, I must note how glad I was that I didn’t come out of the restaurant smelling like BBQ. A definite plus!